This was my first time reading a Holly Black novel and I think I started it around the same time as Halloween because I figured I needed a creepy/dark book to read during that time (also since I hadn’t read that many during the month of October, since school has been INSANE). That aside…I wish I had liked this more. Everyone hypes Holly Black so much, and I do like the writing style, but the story itself fell a little flat for me. I felt that the action didn’t really start until the last quarter of the novel and there was a lot of confusing build up. 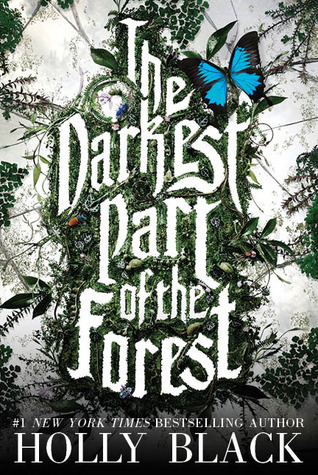 This being my first fairie/fae novel I didn’t really like it. I think I’m just not into that sort of paranormal fantasy realm because I can see how it would be really excellent for other reader’s and I know a lot of people do like that type of subgenre, but for me I think it was a little too out there. However, the characters were three-dimensional and I really liked them individually. I felt that they had a lot of potential and Hazel herself is a wonderfully strong female character. I also liked the fact that her brother Ben was a strong character too and wasn’t shoved out of the limelight since Hazel is more of the “main character” per say. I think the characters alone made up for the fact that I didn’t like the story that much and sort of redeemed the novel for me so to speak. I would give this 3/5 stars.